Let our wedding planner team be your lifesavers. We are here to help you stay on top of your task list and co-ordinate all details of your wedding day in Hoi An and make sure that you haven’t forgotten anything for the big day. Package rates start from: VND 2.950.000++/person. International or Barbecued Buffet style. Free flow of soft drinks, fruit juices, beers and house wines, sparkling (02 hours) during the dinner. Cocktail reception with hot and cold canapé, signature cocktail. 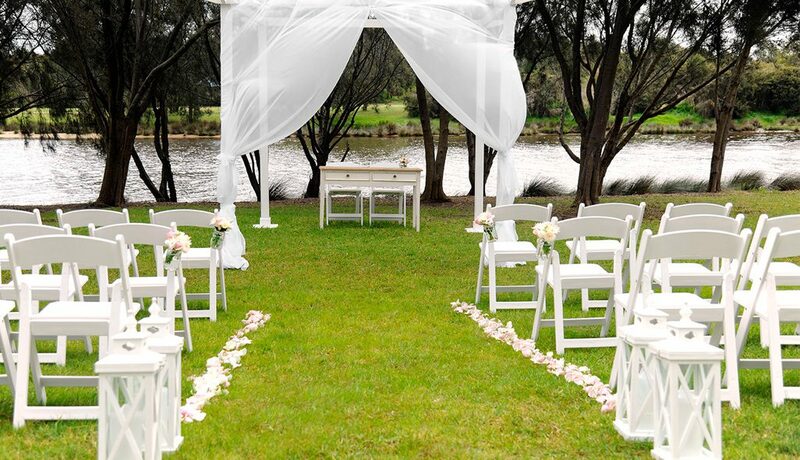 Chairs set up on the riverside with fresh flowers and candles decoration for tables. Acoustic music performance during the dinner. Choice of a 60-minute massage at Sundari Spa. Complimentary roundtrip airport pickup form resort to Da Nang International Airport. 20 full color photos taken during the ceremony. Package rate is in VND and are subject to 10% tax and 5% service charge and NOT includes accommodation. The above benefits may not use in conjunction with other discount or exchange for any other service or cash. Apply for group minimum 25 persons.